As we all speed through 2014, the challenges of business and organizational leadership today are very forthright and are just as important here across Indiana as they are across the rest of the country. Although challenges can be both simple and complex, there are important variables that leadership needs to continually assess for success. Hiring the best people possible in the industry: Organizations are only as good as the people in them and that has never been truer than now. With unemployment low in the state and talent in place in our local and regional businesses, the continuous search for good managers and employees is unending. Making decisions that support the mission: No leader knows what will happen tomorrow. Careful consideration must be made in every decision to ensure the best results. Establishing the highest degree of honesty and trust: Doing the best thing for everyone is never easy, yet critical for companies to find success. Having honest processes will eliminate the chance to do things wrong or with a lack of ethics. Promoting both involvement and engagement: Each individual in the organization needs the chance to be involved and come up with ideas that promote success. Training is essential to grow skills and experiences. Keeping people encouraged and enthused with work: Involving everyone in the company will keep the leaders focused and the teams ready for challenge and change. 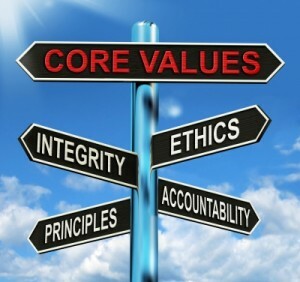 Be ethical in growing the success of others: Leaders need to build respect to move the organization forward. Leadership needs to concentrate on relationships to keep the organization strong. Leaders have a heavy load as the economy slowly grows across the country. Training and opportunity must go together as every one of us accepts the challenges of the present with a focus on the future.